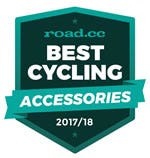 ELEMNT BOLT GPS Bike Computer Bundle is rated 4.7 out of 5 by 144. Rated 5 out of 5 by Ellisn from Great bit of kit! Chose this over a Garmin due to reviews..so easy to use & clear crisp screen..bought with cadence & speed & heart rate monitor..complete kit!! Rated 5 out of 5 by Nagnag79 from You can’t go wrong with this unit I’ve had this unit for over a month and I’m very happy with it. I was split down the middle when deciding between this and the Garmin 520+. I’m very happy with my choice. Battery life is very good and the range of screen customization options is excellent. The companion app is so intuitive. Set-up is a breeze. The Bolt also looks great. Slick form factor and the screen size is perfect. Rated 5 out of 5 by DJ Muttley from Great quality product I bought the elemnt bolt bundle a couple of weeks ago, and have been very impressed by these products so far. Really easy to set up and switch between bikes. Tickr and cadence can be used for spin classes too. Really happy with my purchase this is the best bike computer I have owned by far. Rated 5 out of 5 by JM605 from Super easy to use! Purchased this a couple of months ago could not be more pleased. Super easy to use with app on your phone to enable all the settings.Lots of features available with app. No fumbling around with buttons on the unit for set up.Super easy to view the screen when riding. Unit works extremely well with iPhone for ease of use. Battery life so far has proven to be very generous. Updates to the unit are very easy to preform. Quality appears to be very good. Would highly recommend this product. Rated 5 out of 5 by SSOD Danny from Huge improvement over my Garmin I've had my bolt for a few months now and absolutely love it. I'd had a Garmin 510 for a few years and just didn't know how far technology has come, my Bolt has so many more useful features, the routing works incredibly well, the LED lights come in handy to quickly see heart rate or know how far ahead/behind I am for segment goals. I also like the easy setup via my phone, no more clicking loads of times and drilling through numerous menus to quickly configure my screen. Overall this is a great product I would highly recommend. Rated 5 out of 5 by Manson from Truely awesome I bought this a month ago and it never disappoint me! Rated 5 out of 5 by Pezco from Fantastic! I've been using these products now for about a month. The simplicity of set up and accuracy of the data is incredible. I compared the data to that found on my Apple watch, Cat Eye and Garmin for about 1 week, 3 rides. The thing that strikes me is how easy the Bolt is to set up and link to Strava and other apps. I didn't even use Strava before, but updating is so easy why not. I guess you can consider me a Wahooigan now!